Hanover, December 11, 2018. 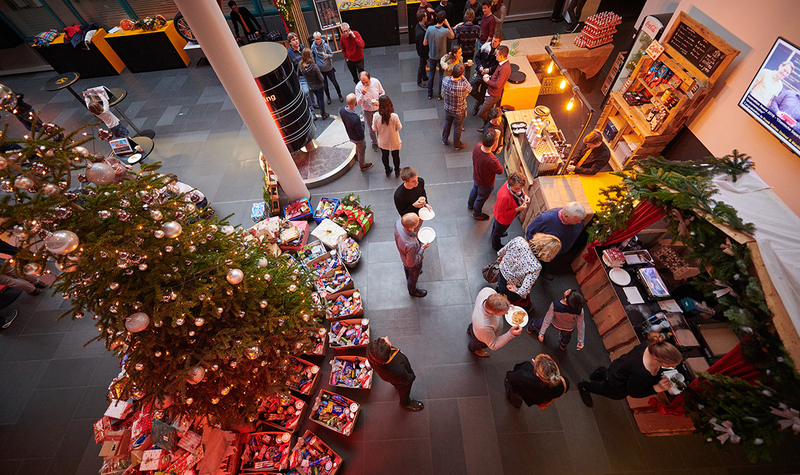 Employees from technology company Continental in Stöcken are taking part in the Continental Christmas Express campaign, which supports children from financially impoverished families in Hanover, for the twelfth time. Well over 100 gift boxes and food packages were donated to Hanover’s Heimverbund at a ceremony on December 11, 2018. The association had provided Continental employees with a wish list from the children in advance so that they could make the children’s specific wishes come true. “The Continental Christmas Express illustrates our employees’ willingness to help others. We are pleased to have again provided the necessary framework for this Christmas campaign for another year in the spirit of our corporate value ‘For One Another.’ We joined forces with Heimverbund in Hanover to bring a little bit of joy to more children in our city at Christmas,” emphasized Bernhard Trilken, Head of Manufacturing & Logistics Tires and Location Manager. The traditional exhibition of children’s pictures from the annual Christmas competition was also opened at the Continental research and development center to coincide with the gift-giving ceremony. The winning picture is being used on this year’s Christmas cards for corporate customers in the truck tire replacement business in Germany. Continental in Stöcken is now considered one of the company’s most versatile locations worldwide. Along with the largest tire research and development center, more than 20 different organizational units from three divisions (Tires, ContiTech and Chassis & Safety) are now accommodated at Stöcken industrial park. Continental’s workforce in Stöcken, which currently encompasses around 4,000 employees from over 60 nations, contributes to the technology company’s global success with its expertise born of tradition and innovation.